Spruce up your Patio with these easy tricks! Whether you love to entertain friends or sip your morning coffee on the patio, here are five easy ways to inject new life into your little corner of nature. House Logic gives us the scoop on how to rejuvenate a run-down patio with a budget in mind! We know that it is hard to enjoy your patio if it's covered in debris by critters digging and trampling, there's a way to stop them in their tracks. Rather than using regular mulch, give the pine cone method a chance. 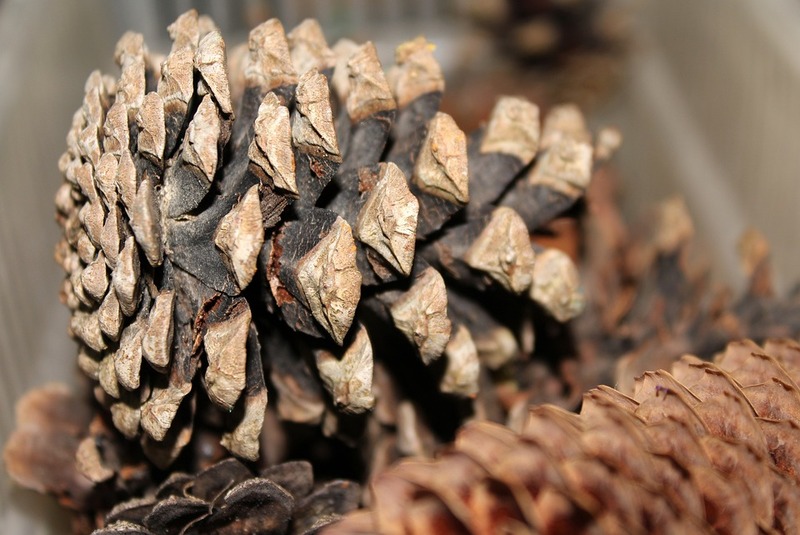 Those spiny cones will deter pests and mischievous pets from digging and tearing up your space. Rejuvenate your patio with a pop of color. Try painting it a bold, bright color or fun and vibrant pattern. Let your creative juices flow and give it your best shot, this is your space to make one-of-a-kind! At the very least, a new coat of concrete stain will give that tired concrete a fresh look. If the damage isn’t too extensive, the job can be as simple as scraping it off. Use a wire brush, sandpaper, or steel wool — and a bit of elbow grease — to scour it away. For less effort, use a drill with a wire brush attachment. For more extensive rust issues, you can use an acidic agent like vinegar to help with the removal. 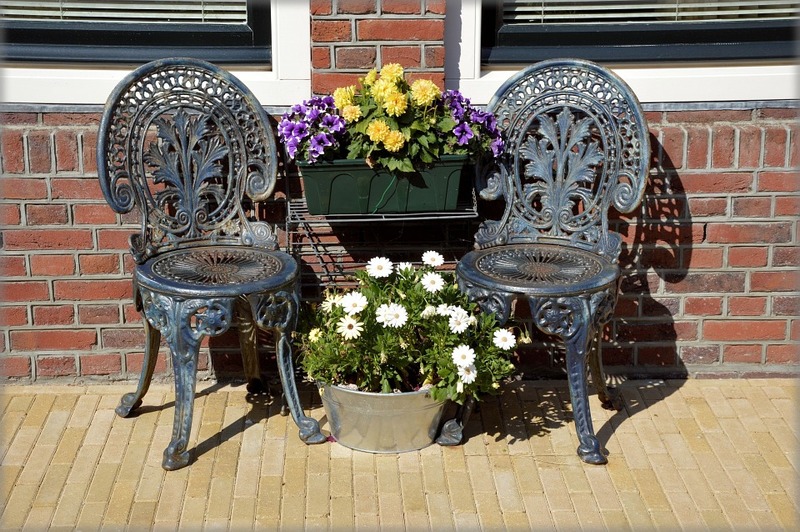 After the successful removal of your pesky rust, simply give the outdoor furniture a nice new coat of paint to finish it off! Keeping your patio clean and tidy helps maintain the relaxing aspect of your little space and gives it an easy facelift. Keith Sacks, a professional landscaper gives us his favorite DIY outdoor storage solutions. Paint wooden crates (about $10 each) to match your patio (or try a bright, fun, contrasting color) and add a sealant to weatherproof the wood. Arrange them to create attractive, rustic storage. Glue the crates together and attach wheels to the bottom if you want to be able to move it around. A mini fire pit can serve as a great addition to your patio by creating fun and function all at once. Creating your own outdoor s’more-making oasis doesn’t have to take much time or money. Try DIY blog Young House Love’s super-cheap, pint-sized pit, which requires only heat-resistant pavers (also called firebricks), which cost about $5 per stone.